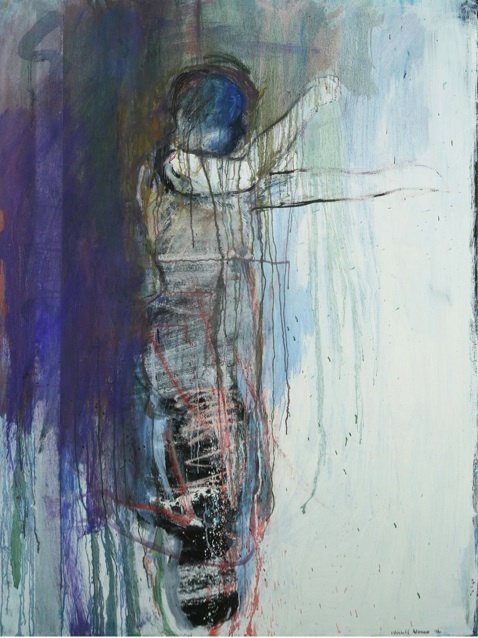 Gail Chadell Nanao paints figures so freely and wetly that it’s surprising to see how much description there is. She maintains that exciting tension between image and paint where you see both at the same time, with neither overwhelming the other. 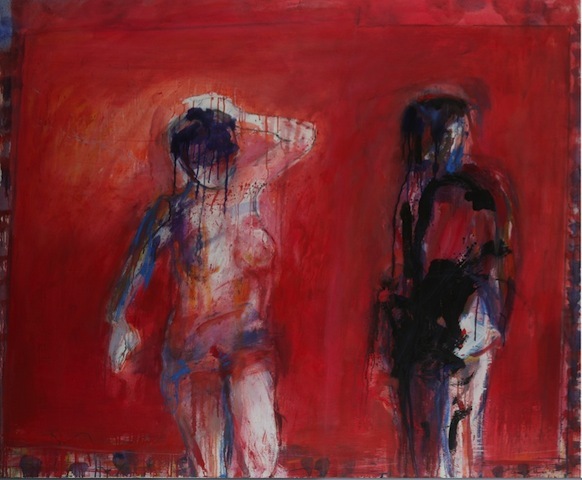 Considering how freely she paints, it’s also surprising that she doesn’t go with the painterly notion that nudes are neutral objects for formal manipulation. Hers have a live presence. You wouldn’t name a piece “Wistful Figure” if you were shy about the emotional loading of your images. For a painter raised in the post-WWII disdain for anything suggestive of narrative, this is pretty racy. Also pretty confident. And convincing. The resulting images keep you on your toes. You never know quite what to expect as you run your eye around one of Nanao’s pieces. Parts are thickly painted, others thinly. She paints till she’s made her point, and then stops. This leaves the thought both transparent and immediate, just as it ought to be.